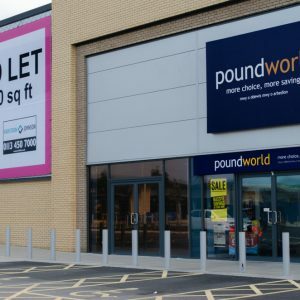 Struggling retailer Poundworld may not vanish from the High Street after all, following news that its founder is considering purchasing some of the stores, according to BBC News. The discount retailer was founded by Christopher Edwards in 1974 and sold it for £150m to TPG Capital in 2015. Edwards believes the chain could be saved with a fresh management team. Poundworld called in Deloitte to act as administrators after a failed bid to sell the company to R Capital. The chain has been struggling like other retailers with a weaker pound and the growth of online shopping. Edwards said the brand”s management had “not adjusted” to rising price pressure and had therefore “lost their profit margin.” The management’s decision to introduce multiple price points also attracted criticism from Edwards. Edwards said he was “sad and emotional” about the chain’s collapse and would decide whether to get involved within the next two weeks.